For the first time since Riley started school, he didn't ask me to make carrot cake cupcakes for his class birthday treats. This year he requested zucchini cakes. In a mixing bowl, place all of the ingredients and stir until just moistened. I finally got to use Rook No. 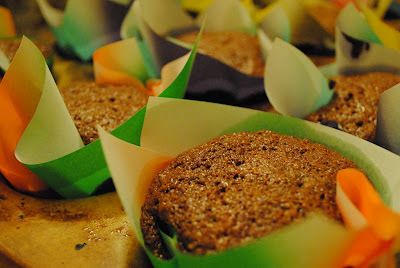 17's origami paper -> cupcake liner tutorial. It's been on my list for about two years now. 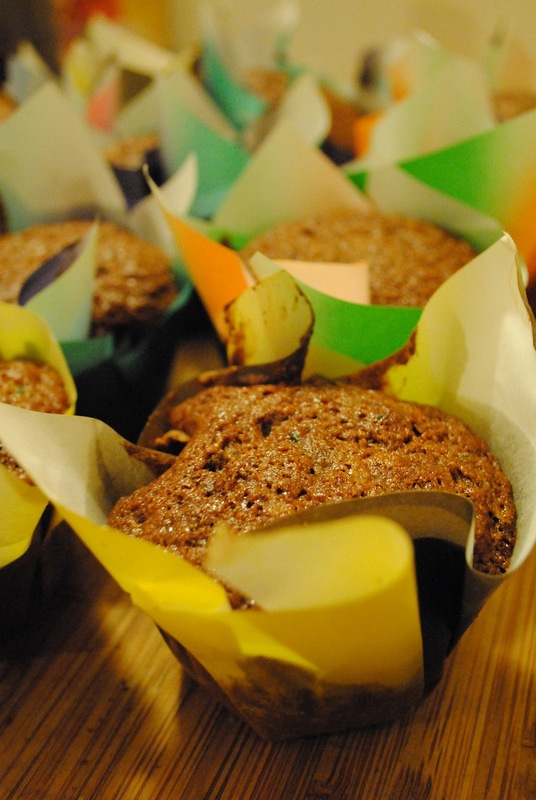 Spoon the batter into the cupcake liners. Bake for 55 to 60 minutes at 350°, or until a wooden pick or cake tester inserted in center comes out with very little or no crumbs clinging to it. It's official...I am a contributing writer for Edible Monterey Bay, a magazine and blog that believes in sustainability and the fact that everyone has a right to healthful, clean and affordable food. They seek to inspire readers to get to know and support local growers, fishers, chefs, vintners and food artisans. It's definitely my kinda publication. So, when Sarah Wood, the editor, asked me to head down to Ventana Inn & Spa to cover one of their events, I jumped at the chance. Literally. Jumped, wiggled, and danced. And there might have been a shout of glee in there as well. So, last weekend I attended their third pop-up event: a hike led by Big Sur Guides owner Stephen Copeland followed by a brunch at The Restaurant at Ventana. My photographs and article hit the blog this morning. Click here to go to their site. The third installment of Edible Monterey Bay’s pop-up series brought me, with a good friend and fellow foodie in tow, to the Ventana Inn and Spa for a hike and a brunch. What a thrill to head down the coast from Monterey on a soggy morning and find Ventana enveloped in a bubble of sunshine! Gathering in front of The Restaurant at Ventana, our group of culinary adventurers chatted amicably before heading off on a trail led by Stephen Copeland. A long-time Big Sur resident and owner of Big Sur Guides, Copeland—part naturalist and part local historian—regaled us with stories of Hatfield and McCoy-style feuds between Big Sur landowners and reminisced about Lolly Fassett who started the Nepenthe Restaurant after nurturing the local community nightly with her roasted chicken and stuffing. Copeland recounted that Orson Welles, from whom the Fassetts acquired the property in 1947, had purchased the original cabin, for his wife, Rita Hayworth, as a haven from Hollywood. Despite the seemingly endless views of the dramatic coastline in both directions, Hayworth purportedly declared: “Orson, this is so cute, but I will never spend the night here.” Whether she did or not, Copeland wasn’t sure, but he did know that a few years later the Fassetts bought the property from Welles and began the transformation into what Nepenthe is now, a Bohemian cliffside restaurant where both locals and tourists flock. Nepenthe, in Greek, means “that which chases away sorrow.” And it is aptly named. Just setting foot in that vibrant place makes you smile. As we wound along the trails, Copeland conducted what he jokingly called “Redwood 101.” He discussed the trees’ lateral and vertical growth. He talked about the faces in the bark. He told us how redwood trees reproduce, with the younger trees creating tight rings around their parents. Copeland explained how the Esalens and Salinans, the Native American tribes who called the area home, viewed the redwood family rings as sacred places. Circles of life. The tribes performed marriage rituals in the middle of these towering trees; they brought elders to the circles of life to die. At one point during the hike, our group stood in the center of one of these circles. Surrounded by sixteen giants, we inhaled the citrusy scent from the forest duff beneath our shoes and heard the energetic chirps of the wood sparrow. “Listen. If you come into the Ventana wilderness and you don’t hear that,” Copeland gestured towards the source of the noise, “leave. Leave quickly. 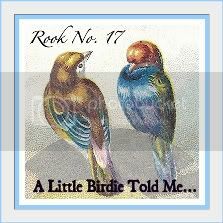 It means there’s a predator nearby.” And with that caveat, we headed out of the redwood circle and toward the restaurant, comforted by the constant chirp, chirp, chirp of the birds. With stomachs rumbling and relaxed from the fresh air and sunshine, we were greeted by Kara Stout, Ventana’s Food and Beverage manager, who guided us to the patio. We settled beneath an arbor embraced by gnarled honeysuckle vines whose heady scent is stronger than you would expect from such wiry blossoms. Our first task: answer the question, “what would you like to drink?” I have to admit that I have never seen such a unique selection of brunch libations; I had a tough time deciding. There was, of course, the de rigueur bellini and ubiquitous mimosa. But it was the more innovative offerings that intrigued me. I vacillated between the St. Germain Royal—Roederer Brut with St. Germain elderflower liqueur, and a lime wheel—and the Hair of the Dog Punsch—lemon-infused Zaya rum with spiced black tea. In the end I opted for the Hair of the Dog Punsch; punsch—with its seemingly errant “s”—is not actually a typo. Punsch, Stout answered when I asked, derives from a northern European spelling of this cocktail that is served hot. Though I was initially reluctant to order it because rum cocktails are notoriously syrupy sweet, I couldn’t resist the name. The concoction turned out to be surprisingly spicy and slightly bitter. It was quite enjoyable but a vivid contrast to the chilled, effervescent St. Germain that I sampled by sneaking a sip from my friend’s champagne flute. After clinking our glasses amid celebratory toasts and well-wishes, we considered ten entrée offerings. Chef Truman Jones had fashioned a generous brunch menu with everything from chicken enchiladas to a classic Caesar salad and from homemade granola to a Big Sur burger. I ducked into the kitchen to snap some photos and inquired, casually, about the chef’s favorite. Eggs Benedict. That made my decision simple. It’s my favorite, too. Toasted English muffins were topped with steamed spinach and pillows of perfectly poached eggs. The applewood smoked pork loin was just crispy enough to lend texture to the mouthfeel yet soft enough to complement the silky eggs. And I was grateful that the hollandaise sauce added just the right amount of lemony flavor without drowning the dish. The Californian Salad was a green and orange confetti of golden beets, roasted asparagus, and orange segments tossed with crisp romaine leaves in a buttermilk ranch dressing and topped with toasted almonds and buttery avocado slices. Then there was comfort food at its best. The Shelton Farms Turkey Gravy Smothered Biscuits, first on the menu, looked positively decadent. I wasn’t familiar with Shelton Farms before this meal. A quick search showed me a company, run by three generations of the Flanagan family, whose website reads: “Our turkeys and chickens don’t do drugs.” I can certainly get behind a company whose philosophy is that their poultry – chickens, turkeys, and ducks – grow healthier when they are allowed to walk around in the open air and sunshine, free to scratch at the ground and peck away at whatever catches their fancy. While I didn’t taste any of the other entrées, our table was lined with empty plates, indicating that all were delectable. To say the view from The Restaurant at Ventana was breathtaking sounds needlessly hyperbolic. But I did—literally—catch my breath in awe when I looked up and down the coast from my seat on the terrace. Cloudless cerulean skies stretched in either direction as far as I could see. Stunning. Table chatter ran the gamut from local food events, including the recent Cooking for Solutions, to recipes or culinary processes. And we imagined how we could use the sprigs of California sage that Copeland had plucked from the bushes for us. I’m considering a roasted chicken with stuffing in Lolly Fassett’s honor. Leeks, celery, rye bread, California sage, and lots of butter. I have no idea if her stuffing used California sage, or not, but I know it will be a tasty reminder of this third installment of the pop-up series from Edible Monterey Bay. I’ll echo the sentiments printed at the bottom of our special menu: Thank you to Edible Monterey Bay. Yes, indeed, thank you! This was a truly enjoyable way to spend the morning…learning, imbibing, and feasting in one of the most scenic spots around. While I dislike tossing food in the garbage, we all have kitchen failures. And I'll be the first to admit mine. So, I won't be posting a recipe for these here, but you can click on the link above for the original recipe. 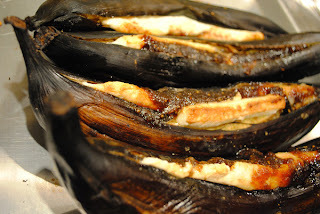 Once I actually do create an edible version of these stuffed plantains, I'll post the process. Promise! There are minor flops that can be fixed with just the right ingredient or reimaginging; then there are the major disasters that really can only be fixed by not tormenting the people you're feeding. That was the case with these plantains. 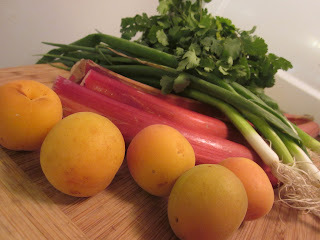 These were supposed to be the final course of our Columbian feast, but the plantains I picked up were not ripe enough. And no matter how long you roast them, they aren't going to get any better. They did, actually, get soft enough to pierce with a fork, but there was no sweetness to them. I did eat mine, just to see how bad it really was. The plantain was more like a baked potato, in both taste (read: bland) and texture (read: dry). One of the kids picked the cheese and fruit paste of out of plantain. But, on the whole, this was a major failure and one I will remedy - just because - as soon as I can get some really ripe plantains. The entire time I was making this, I kept thinking: now why didn't I think of this?!? 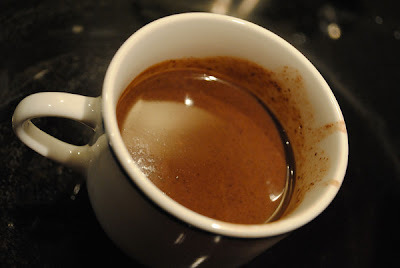 Hot chocolate made with coconut milk. This is so simple, but tastes amazing. And it was the perfect way to end our Columbian feast. Place the coconut milk in a large saucepan. Bring to a simmer. Add the chocolate and raw sugar, whisking until melted and incorporated. The mixture will be thick. Add milk to bring the drink to your preferred texture. Whisk till frothy. Serve hot. 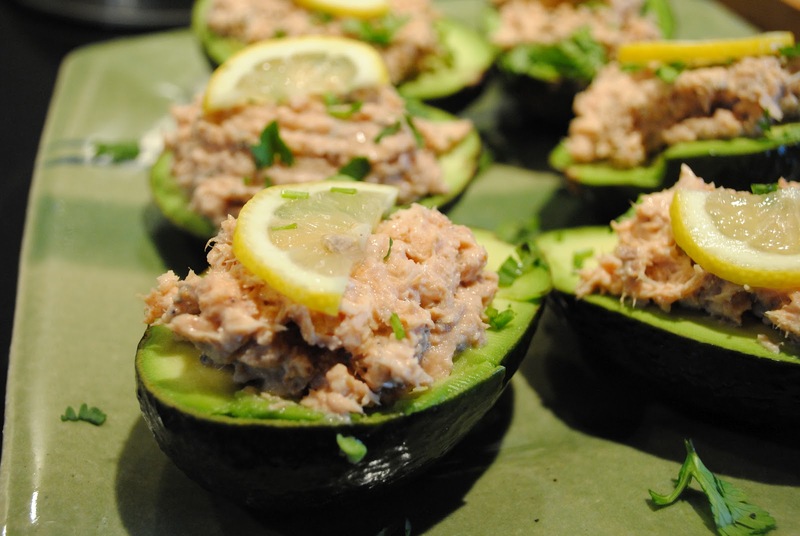 Cut the avocados lengthwise, pop out the pit, and drizzle the lime juice over the avocados to prevent them from darkening. Fill the avocados with the salmon mixture. Sprinkle with chopped fresh cilantro, top with a lemon slice, and serve immediately. 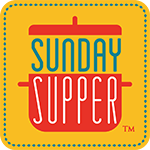 Looking for a quick dinner to throw together at the end of a busy holiday weekend - Happy Memorial Day! 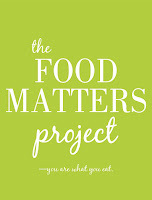 - I realized that I had all of the ingredients I needed for the Food Matters Project assignment this week. So, tonight, after picking up the boys from their friend's house, I came home and whipped up my version of Bittman's Beans 'N Greens Burrito. The recipe was selected by Jacqui of Good Things Grow. Click here for what our week's hostess created in her kitchen. And to see what the other bloggers cooked and blogged, click here and look in the comments section. I had a bunch of collard greens and zucchini in my High Ground Organics CSA box; I always have garlic; and I had a cans of organic red kidney beans and black beans in the cupboard. Done deal! In a large, flat-bottomed pan I browned minced garlic in a splash of olive oil. 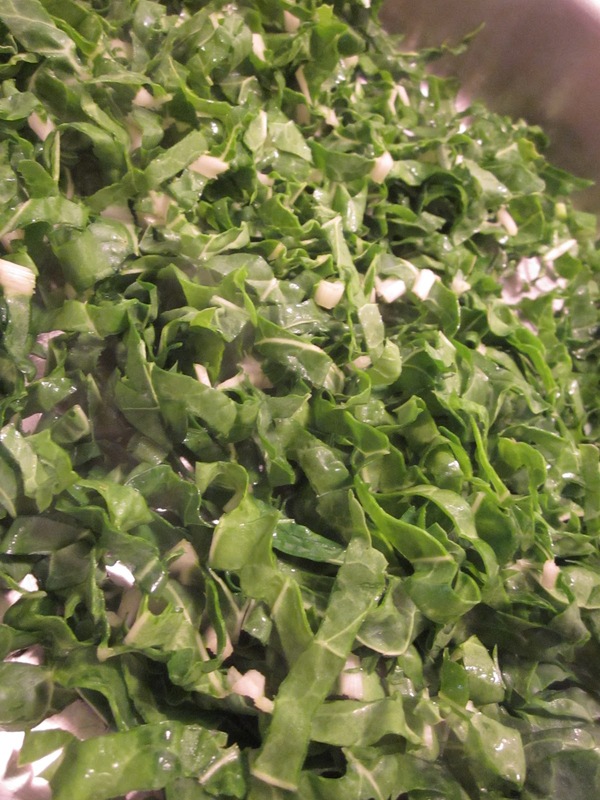 Then I added thinly sliced collard greens and cooked them until they began to wilt. 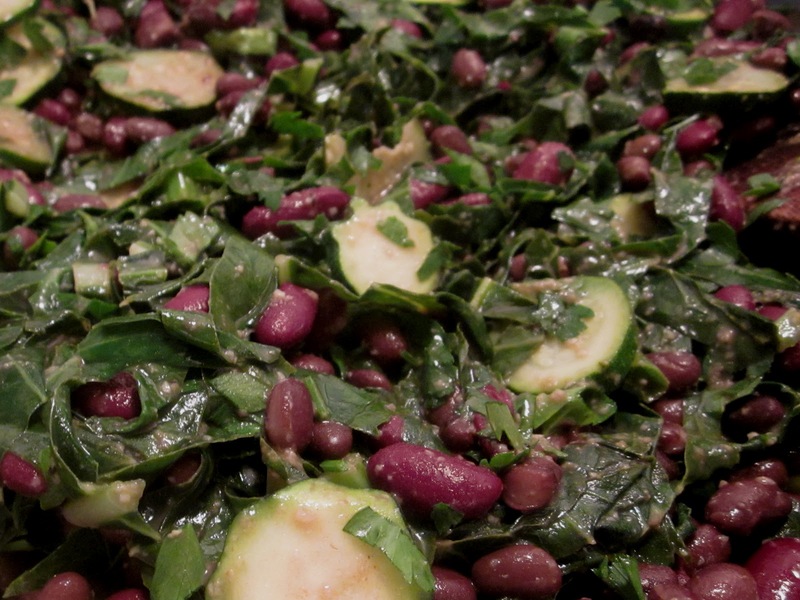 I added sliced zucchini and the drained beans. 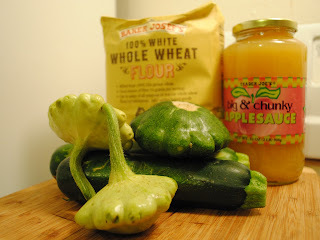 When the zucchini had softened, I seasoned everything with freshly ground pink Himalaya salt, ground cumin, ground paprika, and freshly ground flower pepper. Then I turned off the heat and folded in a handful of chopped Italian parsley. Also, I count myself lucky to have a handy tortilla maker in my house. His name is Riley! 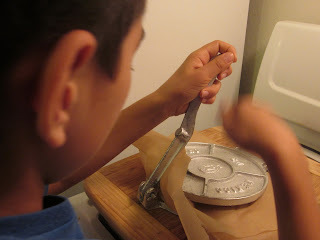 We made tortillas during a field trip to one of the historic adobes in the Fall and he asked for a tortilla press. So, he makes fresh corn tortillas every now and then. They were perfect. Start by putting 2 cups of masa flour in a large mixing bowl. 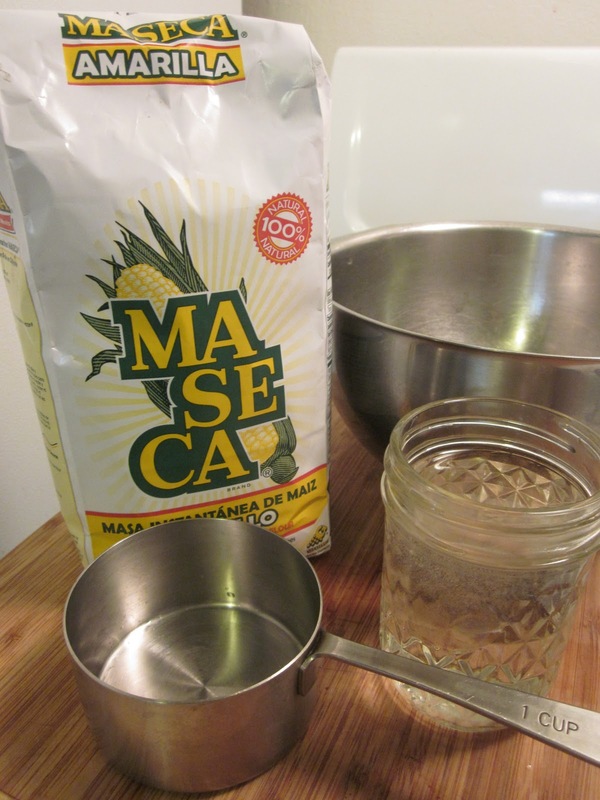 Add 1 1/2 to 2 cups of very warm water and a splash of oil to the masa flour (according to the directions on the package, some brands may call for different amounts of water). Mix in and let sit for 5 minutes or so. Begin working the masa with your hands to make the dough. Knead the dough for several minutes. If at any point through the tortilla making process the dough seems too dry or too wet, add a little more water or masa to the dough. Take a piece of the masa dough and shape it into a ball the size of a plum, or slightly large golf ball. 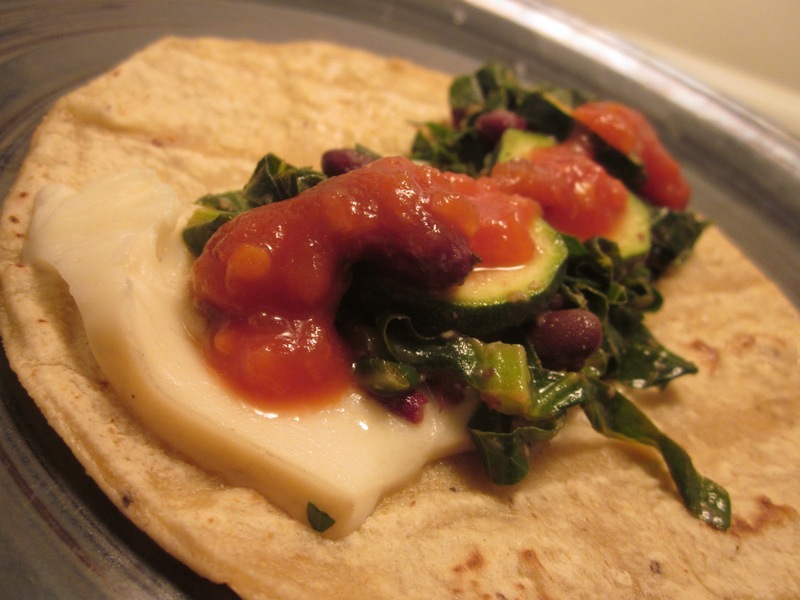 Take two pieces of wax paper or parchment paper and lay one on the bottom of the tortilla press. Place the masa ball in the center. 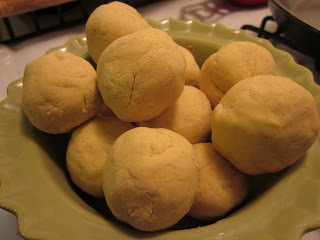 Place another piece of wax paper over the masa ball. Gently close the press and press down, until the dough has spread to a diameter of 4-6 inches. Heat a griddle or a large skillet on high heat. Working one at a time, hold a tortilla in your hand, carefully removing the wax paper on each side. Allow the tortilla to rest half on your hand, and half hanging down, and gently lay the tortilla down on to the skillet. Start working on pressing the next tortilla. Cook the tortilla on the hot pan for 30 seconds to a minute on each side. The tortilla should be lightly toasted and little air pockets forming. For the Beans 'N Greens soft taco, I melted some smoked mozzarella cheese on Riley's tortillas, topped them with the collard greens mixture, and spooned some fire-roasted salsa on top. Success! 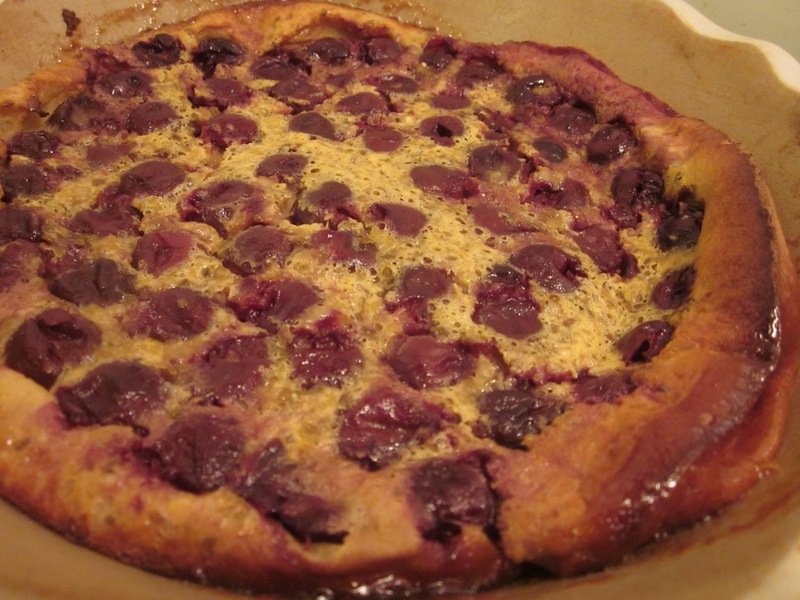 I've never made, or even heard of, a clafoutis. But when I was searching for something to do with a jar of cherries, recipes for clafoutis kept popping up. Sounds like a sign. This dessert comes from the Limousin region of France and is traditionally made with black cherries; other variations are made with plums, prunes, apples, cranberries or blackberries, but those are called flaugnarde. 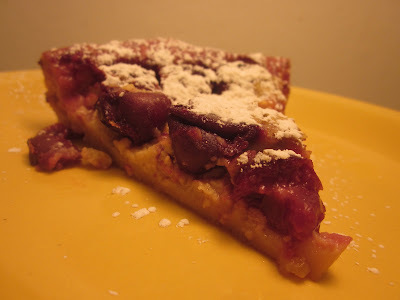 And here's another interesting tidbit, for clafoutis purists, the cherries are baked with their pits intact. The pits, when heated, supposedly impart a unique flavor to the custard-like batter. My cherries were already pitted so...not traditional. Not surprising, right? Also, I skipped the almonds and subbed rum for amaretto. Preheat the oven to 350F. Butter your baking dish(es). The amounts above gave me one 9" clafoutis and one 8" clafoutis. Spoon the cherries into the bottom of the dish(es). Whisk the eggs, sugar, and flour together until smooth. Add the milk, rum, and anise seeds. Whisk until smooth. Pour over the cherries. Bake for 45-50 minutes or until lightly browned and a toothpick inserted into the center comes out clean. When you pull it put of the oven it will jiggle a bit. That's normal. Place on a wire rack to cool. The clafoutis will have puffed up quite a bit and will deflate while cooling. When cool dust the clafoutis with powdered sugar. Serve at room temperature. Two of my favorite things: a morning hike on a new trail and a fabulous feast complete with a cocktail. Add to that a crew of foodies assembled by Edible Monterey Bay and you have a perfect Saturday morning. Tomorrow morning, I will be heading down the coast to Ventana Inn and Spa, armed with a camera and a notepad for Edible Monterey Bay's third pop-up supper club. The first pop-up was a sneak peak of Lokal in Carmel Valley; the second pop-up was a farm tour followed by Asian street food at Charlie Hong Kong in Santa Cruz. 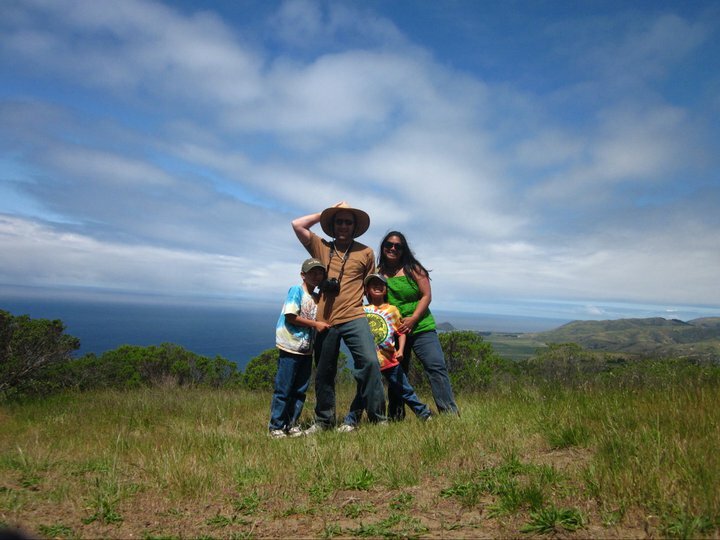 This will be a hike led by Stephen Copeland of Big Sur Guides followed by a pop-up brunch with Chef Truman Jones of Ventana Inn and Spa. And I'm thrilled that Sarah Wood, the editor of Edible Monterey Bay, asked me to attend and write about the event for their publication. There are still tickets for the event if you want to kick off your Memorial Day weekend with a hike and a brunch. Click here for more information or to purchase tickets. Whatever you do this weekend, enjoy the fresh air, sunshine, and spend time with family with friends! 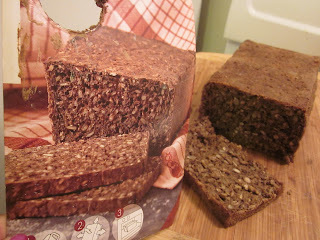 Rugbrød is a Danish bread made with rye flour and whole rye grains. When one of my best friends sent me a care package from Denmark during the holidays, she included a ready-to-bake kit for Rugbrød. And I've been meaning to make it, but didn't feel like typing all of this [see below] into Google Translate...to see how to do it. So I tucked the box into my purse and brought it to arts night at the school for one of my other best friends, another Dane, to translate the instructions for me. It seemed pretty simple: add four and a half deciliters of water to the package. Shake for a minute. Let rise for 50 minutes. Bake in a 190 degree (centigrade) oven for one hour. So, I did the math and made that 2 C of lukewarm water and baked it in a 375 degree oven. And, lookie here! It's just like the package. 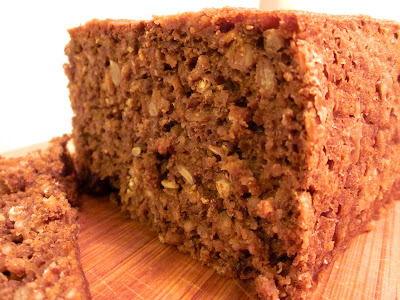 We're having this for breakfast this morning with some homemade preserves. I don't normally bake out of packages, so this was an adventure. 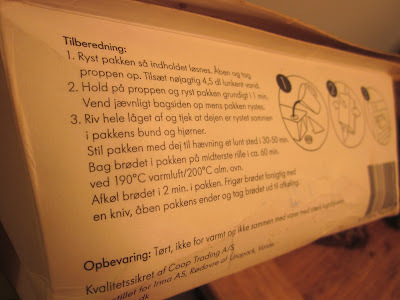 Mange tak, Rikke, for the bread and to Ulla for the translation! 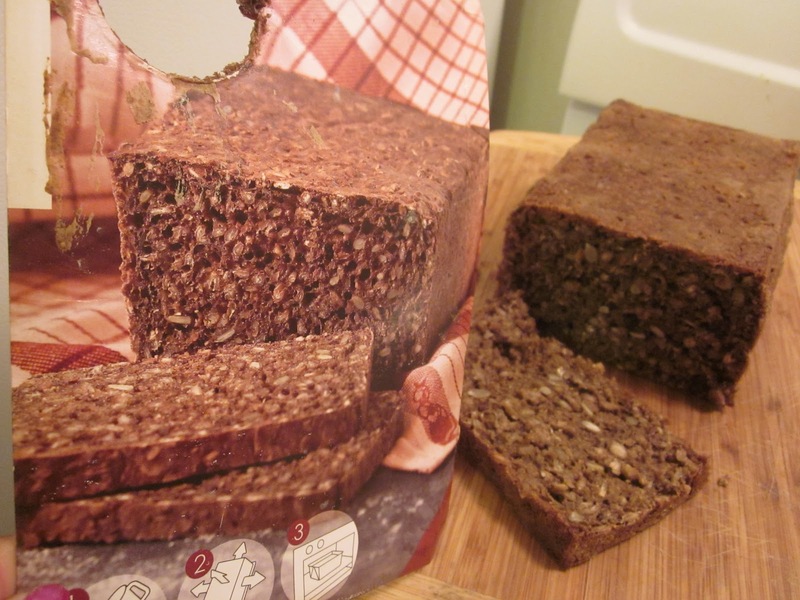 Now I just need to get a real recipe for Rugbrød. One of the treasures I picked up in Paso Robles during my Mothers' Day outing with Pia was a bottle of luscious, tart honey balsamic vinegar. For the past week, it's been sitting on my counter, waiting patiently for culinary inspiration to strike. When I received three purple kohlrabi in my High Ground Organics CSA box late last week, I shouted 'a-ha!' Tonight I finally got around to making a jar of quick-pickled kohlrabi. In a pint-size mason jar, I dissolved 1 T of sea salt in warm water. Then I piled the jar full of peeled, cubed kohlrabi. 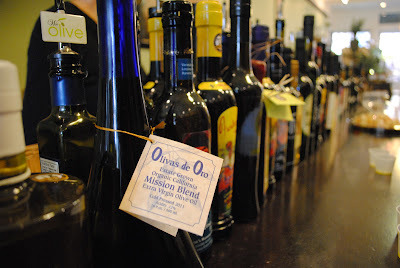 I filled half of the remaining space in the jar with olive oil and topped it off with the honey balsamic vinegar. Tighten the lid on the jar and give it a couple of shakes and swirls. Apologies for not having more specific measurements, but it's not crucial for this kind of recipe. Kohlrabi can be eaten raw, so this quick pickling is more for adding flavor than preparing the root for consumption. Marinate these overnight at least. 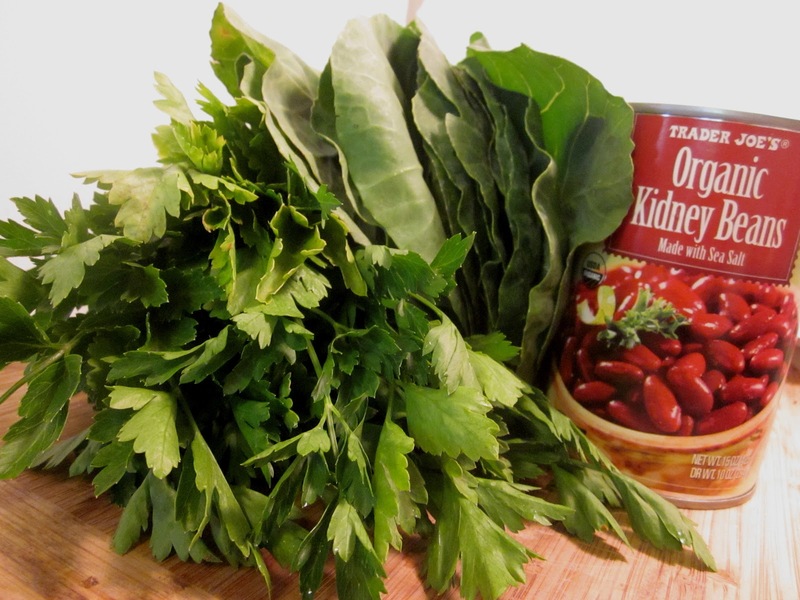 Keep in the refrigerator and eat within a week. Oh, if you are still wondering about these alien-looking vegetables, their name - in German - means "cabbage turnip." But to me, they ressemble neither of those; I think their flavor is much more refined. Subtle. If you see kohlrabi in the market, pick one up and have some fun. 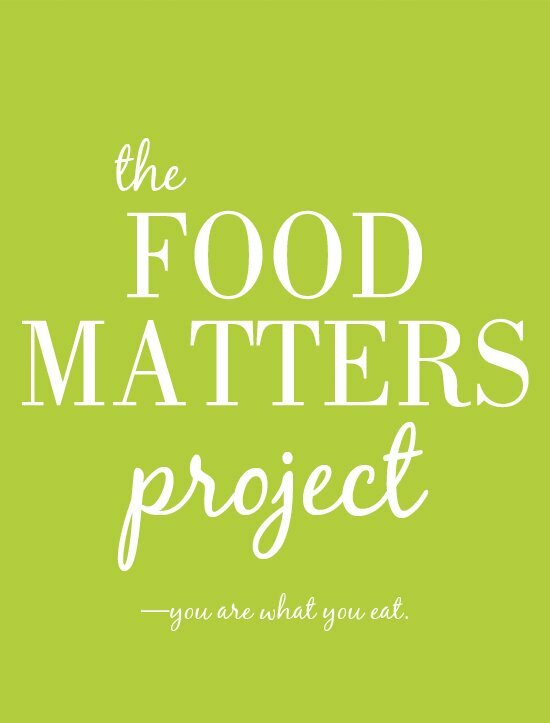 Despite the dozens of things I have to get done before the school year is over, I had all of the ingredients I needed for the Food Matters Project assignment this week...and we have to eat, right?!? I may as well cook with a purpose. So, tonight, after a much needed stroll on the beach, I came home and whipped up my version of Bittman's Mexican-Style Fruit Salad with Grilled or Broiled Fish. 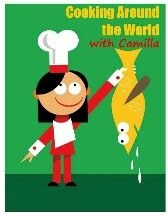 The recipe was selected by Sarah of Food and Fredrick. 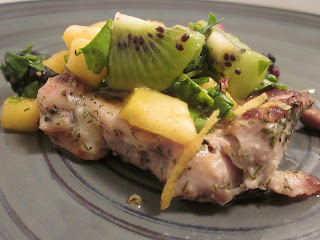 Click here for what our week's hostess created in her kitchen. And to see what the other bloggers cooked and blogged, click here and look in the comments section. Chicken, rubbed with minced garlic and sprinkled with fresh dill, freshly ground pink Himalaya salt and flower pepper, broiled in the oven. 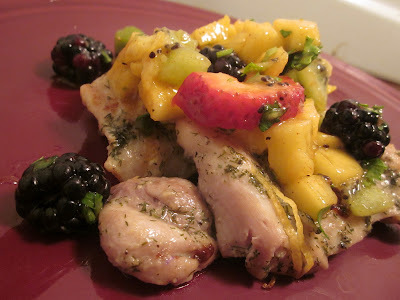 While the chicken cooks, make a fruit salsa: diced fresh mangoes; cubed, peeled kiwi; sliced strawberries; whole blackberries; lemon juice; chopped cilantro and parsley; paprika; and a splash of olive oil. 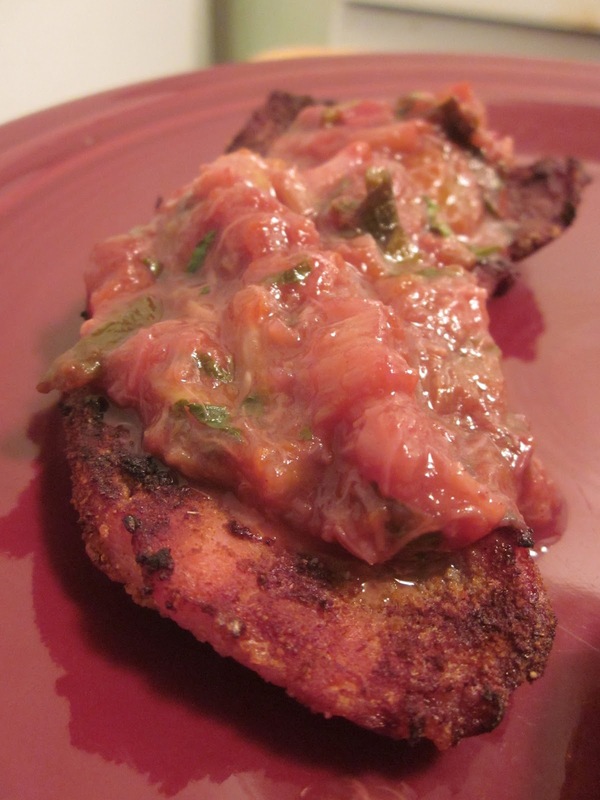 Once the chicken is browned and cooked through, top it with lemon zest and the salsa. As we move into summer vacation, the days grow longer, the fruits get sweeter, and Jake dusts off the charcoal grill...especially on Friday evenings when all we have to do is spend time together. No homework to do. No uniforms to iron. And no bedtimes to keep. Love it! Tonight I had some pork cutlets. Here's what I did. Every single person in the family devoured it and asked for seconds. That is an accomplishment. While the coals are burning down to the proper temperature, rub the pork with ground cumin, ground cinnamon, ground coriander, and freshly ground smoked sea salt. 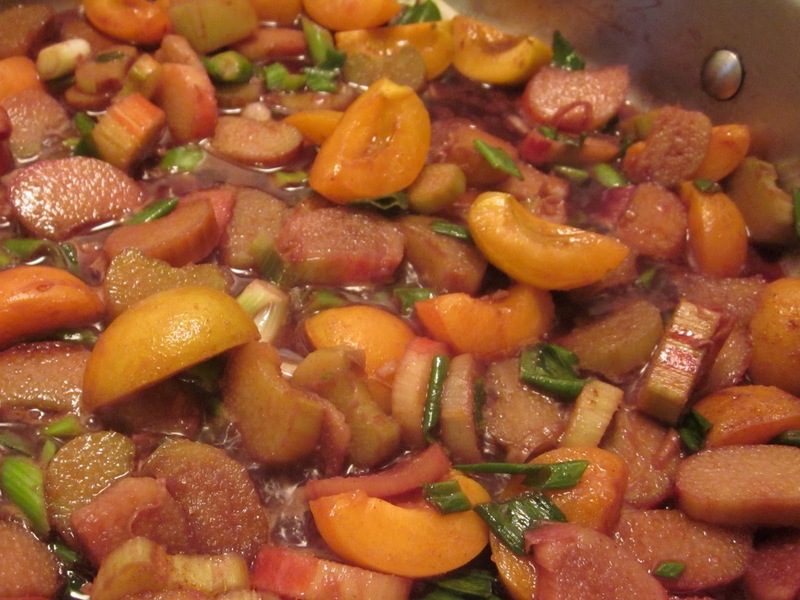 Then make a quick chutney. One thing I like to do is tie in flavors between dishes. Since I used ground coriander in the rub on the meat, I used fresh cilantro in the chutney because it's all the same plant. Why the different names? I have no idea. Cook all of that in a large flat-bottomed pan until the fruit is softened and the sauce thickened. Once to the consistency that you desire, stir in chopped cilantro and season with freshly ground pink Himalaya salt and flower pepper. Grill the meat - I can't really write about that since the extent of my participation in that process is to rub the meat and hand it over to my grill master husband. Then serve with a large dollop of chutney. 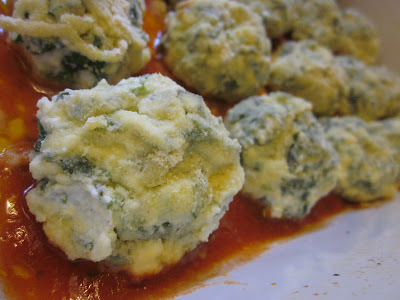 Malfatti di Ricotta e Bietola. "Badly formed" dumplings with ricotta and chard. Also known as 'dinner'! These are so easy and pillowy soft. 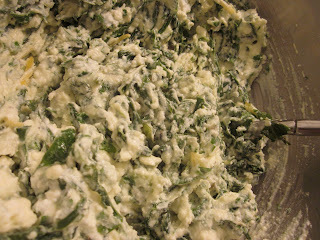 Traditionally they are made with spinach, but I had some chard from my High Ground Organics CSA, so I used that. 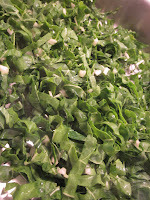 Saute the chard and green garlic together until wilted. Let cool. Spread the tomato puree in the bottom of a baking dish, add the lemon juice and a splash of olive oil. Blend till mixed and covering the bottom of the dish. Preheat the oven to 350 degrees. Place all of the other ingredients - except the corn flour - in a large mixing bowl. Blend with a fork until everything is well incorporated. Place the corn flour in a separate bowl. With moistened hands, form tablespoon-sized portions into balls. Roll them in the corn flour and place them in the baking dish. Leave some room between the malfatti. When the dish is full, bake for 25-30 minutes until the dumplings are slightly browned. 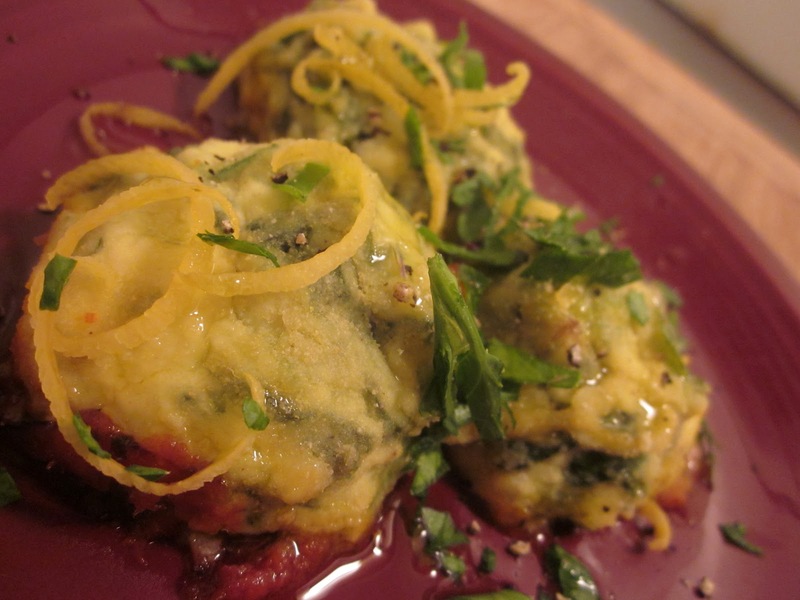 Serve hot, sprinkled with a little bit more parsley and lemon zest and drizzled with olive oil. Tina, the blogger behind Life in the Slow Lane at Squirrel Head Manor, is the hostess of this month's Food'N'Flix. Food'N'Flix was started by one of my favorite foodie bloggers Heather of girlichef.com: "We are just a bunch of FOODIES who like to watch movies that make our belly rumble and our mouth water and then head into the kitchen to cook or bake something inspired by what we watched." 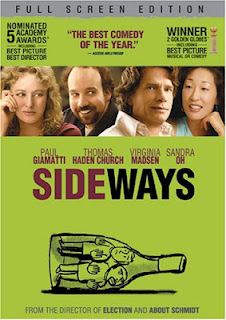 Tina's pick for May: "Sideways." Click here for her invitation to participate. Cheers! Preheat oven to 375°F. Lightly grease and dust a 9-inch springform pan with unsweetened cocoa powder. Line the bottom with parchment. In the top of a double boiler or in a bowl placed over a pan of simmering water, melt the chocolate and coffee. With an electric mixer and a paddle attachment, beat the butter and sugar until ivory colored. 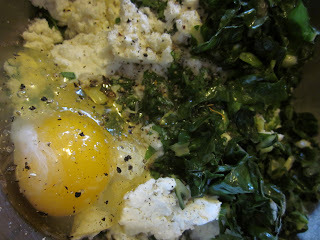 Add the egg yolks, two at a time. Continue to beat until the mixture is light and airy. 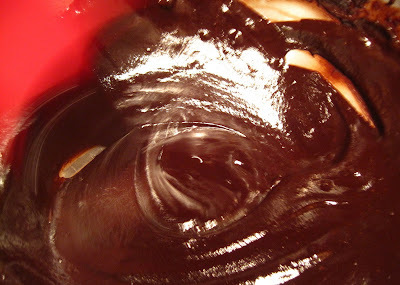 Fold in the cooled melted chocolate. In a separate bowl, whip the egg whites with the salt until they form stiff peaks. With the beater running, add two tablespoons sugar and beat until glossy. Fold the ground almonds into the whites. Fold the chocolate mixture into the egg white mixture. Pour into the prepared pan. Place in the oven and immediately turn the heat down to 350°F. Bake 15 minutes. Turn the oven down to 325°F. Bake an additional 45 minutes. Turn the oven down to 300°F and bake 15 to 20 minutes. Turn the oven off and leave in the oven, with the door ajar, for another 30 minutes. Cool on a rack. Remove the sides of the pan. Place the sugar and butter in a heavy-bottomed pan. Bring to a boil on medium heat, whisking continuously. The mixture will go from pale to foamy. Once it gets smooth and creamy, the sugar will begin to burn, keep whisking till the burnt sugar is a uniform color: a deep rich caramel. Remove from heat and whisk in the sour cream. If any lumps develop, return the pan to the heat and stir until they dissolve. The mixture will be streaky but become uniform after cooling slightly and stirring. Serve slim slices of cake - it's rich! - and drizzle with the caramel. Oh, don't forget a glass of pinot noir because, as Miles says, "I am NOT drinking any f----ing Merlot!" 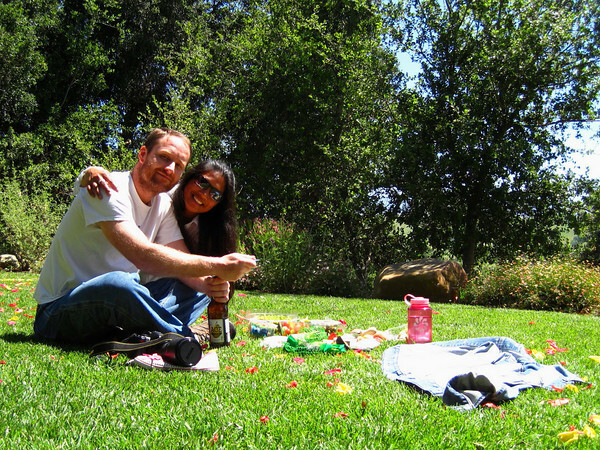 Oh, and I thought I'd toss in a photo of us from our wine-tasting trip down there.